Shoulder impingement syndrome can cause persistent pain that makes it impossible to play sports and go about everyday activities. 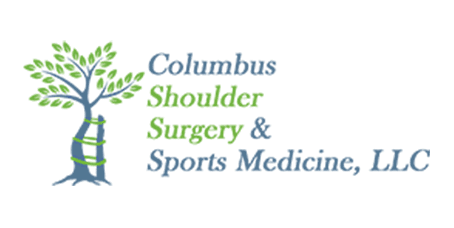 At Columbus Shoulder Surgery & Sports Medicine, orthopaedic surgeon Robert Lewis, MD, provides a variety of nonsurgical treatments to relieve your shoulder pain from impingement syndrome. If you’re suffering from impingement syndrome, call or click online to schedule an appointment with Dr. Lewis today. Shoulder impingement syndrome is a common source of shoulder pain. Ir arises when the tendons of your rotator cuff become impinged (pinched) as they pass through a narrow bony space in your shoulder. Sometimes called swimmer’s shoulder or thrower’s shoulder, impingement syndrome happens gradually over time. Shoulder impingement is closely related to rotator cuff tendonitis and shoulder bursitis. It’s possible to have two or all three of these conditions at the same time. If left untreated, the impinged tendons in your shoulder can worsen and lead to a rotator cuff tear. Impingement syndrome is common in both young athletes and middle-aged to older adults. Repetitive motions commonly used in certain sports or work environments may lead to shoulder impingement. Sometimes, a minor shoulder injury such as a torn rotator cuff may also lead to impingement syndrome. How do you know if you have shoulder impingement syndrome? Dr. Lewis can diagnose impingement syndrome with an exam. 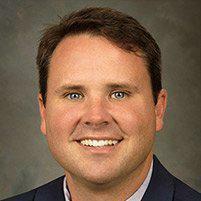 First, he evaluates your symptoms, physical condition, and medical history. He may check your range of motion with simple arm exercises and use X-rays to rule out other possible causes of shoulder pain, such as arthritis. Do you need surgery for shoulder impingement syndrome? Impingement syndrome treatment focuses on relieving your pain and reducing inflammation. Dr. Lewis discusses the best methods for treating your shoulder impingement symptoms based on your unique needs. If you have shoulder pain and think it may be due to impingement syndrome, call Columbus Shoulder Surgery & Sports Medicine or book an appointment online today.